Our online TESOL certificate courses are self-paced, so you can complete the program in under 4 weeks or take up to 8 months to study! OnTESOL is the leader in advanced TESOL certificate courses. Get the best training to pursue a career in Teaching English to Speakers of Other Languages (TESOL)! Our TESOL courses are recognized all over the world, so you can use the certificate to teach English abroad or in your home country. https://how-to-teach-english.ontesol.com/wp-content/uploads/2015/03/ontesol-logo1-300x137.jpg 0 0 admin https://how-to-teach-english.ontesol.com/wp-content/uploads/2015/03/ontesol-logo1-300x137.jpg admin2017-05-18 18:42:432017-06-23 14:19:14How Long Does It Take To Complete the TESOL Certificate Courses Offered by OnTESOL? What is Ontesol’s Job Board? Ontesol offers the most complete job placement service. It’s honest, reliable, and free of charge! 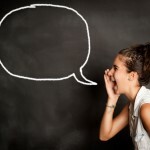 Ontesol’s free job placement service starts with freetefljobplacement.com, where people can learn about the requirements and working conditions in top ESL destinations. Every month, there are 10,000 TESOL jobs available worldwide! Access your student account and find the job board on the first page. You can download the application for EPIK, access job positing from the top ESL destinations, and find a list of schools, websites, recruiters, and resources. Choose a TESOL course that is right for you. If you have any questions, contact us by email or use one of the toll free numbers. https://how-to-teach-english.ontesol.com/wp-content/uploads/2015/03/ontesol-logo1-300x137.jpg 0 0 admin https://how-to-teach-english.ontesol.com/wp-content/uploads/2015/03/ontesol-logo1-300x137.jpg admin2011-11-05 18:47:112014-04-28 10:19:15What is Ontesol's Job Board? 100-hour TESOL Certificate: This online TESOL course is the best of its kind. Few online TESOL/TEFL schools have experience delivering advanced courses such as Trinity CertTESOL, TESL Canada, or CELTA. Coventry House International-Ontesol offers more than 10 years of experience delivering the top TESOL courses in the world. We’ve taken the elements from our advanced Trinity CertTESOL and TESL Canada courses and compiled a standard 100-hour TESOL course that truly teaches trainees how to create professional lesson plans. https://how-to-teach-english.ontesol.com/wp-content/uploads/2015/03/ontesol-logo1-300x137.jpg 0 0 admin https://how-to-teach-english.ontesol.com/wp-content/uploads/2015/03/ontesol-logo1-300x137.jpg admin2011-10-17 19:13:172015-01-07 22:18:46What Makes OnTESOL The Best TESOL Institute in The World? TEYL is a specialization course that covers how to Teach English to Young Learners (TEYL) and is not enough to qualify for teaching positions worldwide. Schools look at the TESOL certificate first and foremost and if the position is for teaching English to children, as many positions are, then a TEYL certificate comes in very handy. For this reason, Ontesol offers a 50% on the TEYL course when you enrol in one our internationally recognized online TESOL courses. To learn more about the difference between each TESOL program and what’s included in the TEYL course, take a moment to compare the syllabi. https://how-to-teach-english.ontesol.com/wp-content/uploads/2015/03/ontesol-logo1-300x137.jpg 0 0 admin https://how-to-teach-english.ontesol.com/wp-content/uploads/2015/03/ontesol-logo1-300x137.jpg admin2011-10-08 00:03:292014-04-28 10:19:17Is The TEYL Course Enough To Get A Job? South Korea has one of the most stable economies in the world and is home to some of the biggest corporations, such as Samsung and Hyundai. Cities host a variety of beautiful ancient buildings and gates as well as some of the most modern buildings. South Korea is also home to some of the most beautiful national parks in the world and the government has been very active at renovating urban centres by filling empty spaces with greenery. Their success is based on a mixed economy where businesses take care of production and government invests in essential services such as Eco-projects and education. One of these government-funded programs is EPIK, which hires 1,100 ESL teachers every semester and pays one of the most competitive packages in all of East Asia. ESL teachers take home approximately $2,000/month and the package also includes accommodation, health insurance, bonuses, and more. A 100-hour online TESOL certificate automatically qualifies teachers for a higher pay level, starting at 2.0 million won per month in some areas and 2.1 million in other. Ontesol is now helping with the application for Spring 2012. Request your application via email or through the inquiry form. https://how-to-teach-english.ontesol.com/wp-content/uploads/2015/03/ontesol-logo1-300x137.jpg 0 0 admin https://how-to-teach-english.ontesol.com/wp-content/uploads/2015/03/ontesol-logo1-300x137.jpg admin2011-10-05 22:54:342014-04-28 10:19:17Is South Korea a Developed Country? Why Are Online TEFL Courses More Affordable? The price of an expensive on-site course is not indicative of quality. Online TESOL courses can be offered for a much lower tuition fee because the need to rent expensive downtown classrooms is eliminated. Furthermore, online education provides great economies of scale because schools have a global reach. While online courses provide a private tutor to every trainee, quality on-site TESOL courses cannot accept more than 15 students. As TESL Canada and CELTA recognize some online TESOL courses, this method of instruction is the way of the future. https://how-to-teach-english.ontesol.com/wp-content/uploads/2015/03/ontesol-logo1-300x137.jpg 0 0 admin https://how-to-teach-english.ontesol.com/wp-content/uploads/2015/03/ontesol-logo1-300x137.jpg admin2011-09-24 22:38:222014-04-28 10:19:18Why Are Online TEFL Courses More Affordable? The Practicum is a very important module for trainees with little or no prior teaching experience, but it comes after the TESOL course for a very good reason: You cannot stand in front of a classroom if you do not know what to do on each stage of the lesson. During Methodology, the trainee learns about different methods for effective teaching and the structure for delivering a professional lesson. A plan is crucial as each stage of a lesson requires the use of different tools and activities depending on the type of lesson, aims, assumptions, and anticipated problems and solutions. Once you know how to create a professional lesson plan, you can stand in front of a classroom with confidence. In general, the Practicum is not required for an entry-level position, so deciding to complete the Practicum depends on your desire to obtain supervised teaching experience as well as the requirements for jobs and accreditation. WATCH VIDEO: Why Is Lesson Planning Important? https://how-to-teach-english.ontesol.com/wp-content/uploads/2015/03/ontesol-logo1-300x137.jpg 0 0 admin https://how-to-teach-english.ontesol.com/wp-content/uploads/2015/03/ontesol-logo1-300x137.jpg admin2011-09-19 16:22:532019-02-11 18:11:58Why Is Methodology More Important Than The Practicum? 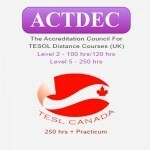 Good TESOL / TEFL / TESL courses are standard across the world. They cover grammar, phonology, and methodology. Some courses include a Practicum module, others offer the option to take it after the TESOL course, and others do not offer this module at all. https://how-to-teach-english.ontesol.com/wp-content/uploads/2015/03/ontesol-logo1-300x137.jpg 0 0 admin https://how-to-teach-english.ontesol.com/wp-content/uploads/2015/03/ontesol-logo1-300x137.jpg admin2011-09-19 00:58:032014-10-23 21:01:42Difference Between UK, Canada, US TESOL Courses?